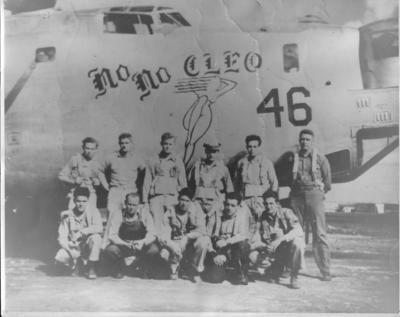 Captain Willis Fuller flew his B-24 Liberator out of San Pancrazio, Italy. Nicknamed "Lil' Pud" for his little four year old daughter, the plane was brand new. As the story was told to us, he was bumped from his scheduled mission by a group of headquarters officers who needed the mission to finish their quota. It exploded on take-off, and a maintenance person later stood court martial and was executed for sabotage. And so it was in another plane, "Alabama Bill", that Captain Fuller was nearly killed on a mission to Ploesti. Anti-aircraft flak severely damaged the controls of the plane. He gave the crew the choice of bailing out or taking a chance on a very bumpy ride. Because he was the youngest man in his crew, and the only one with a child, the men enjoyed calling him "Pappy". They chose to stay with Pappy and take the chance. He brought the heavily damaged plane in safely. In doing so, he made some pioneering discoveries that helped with the development of the auto pilot mechanisms. He was awarded the Distinguished Flying Cross. He always said, "I had a great crew, a good group of guys." This picture is of his crew of No No Cleo. Captain Fuller is standing, the third man from the left. As John Horn points out in his book, most of these men did not talk about their experiences. My father rarely ever spoke of his until I joined the AF in 1973. Even then, it was another ten years before he began to talk about it a little. The story of L'll Pud though was one he had told us early and often. He really hated losing that plane. My father had Parkinson's by the time he decided to write down his notes, and his memory wasn't the greatest. I have found some discrepancies between his 'autobiography' and his log book. I believe that the mission that damaged his plane was the October 17th mission to VIENNA, Austria, NOT Ploesti. I should have checked his log book more closely before posting. At the time of his writing his 'autobiography', he was well into his 70's and ill. Ploesti had received more news coverage than any of the other mission objectives, though Vienna was just as dangerous. It's easy to see how in his state he would confuse things, and I don't see Ploesti on his log book. I should have checked. 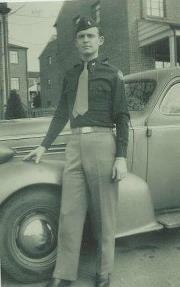 Thank you Willis Fuller for your service and your families sacrifices. Lynn, thank you for this story! Please contact me! This story parallels my Uncle 2nd Lt. Roy A Accola's. It is posted in this group of articles. This is the first story I've seen like my Uncles.